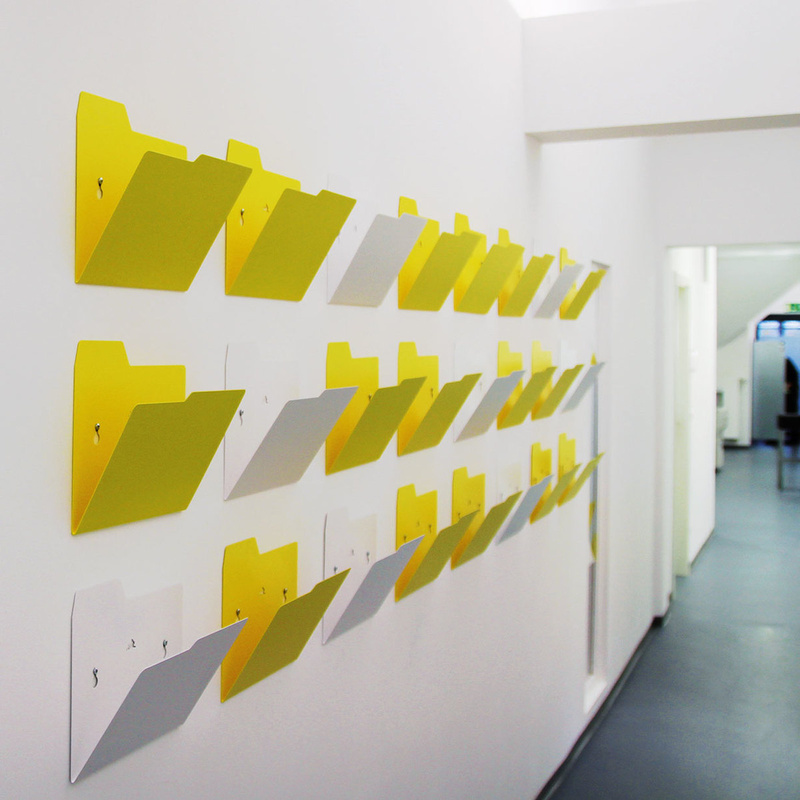 The New Folder by njustudio connects digital and "real" worlds by means of transmitting the well-known tidiness of PCs to the wall. 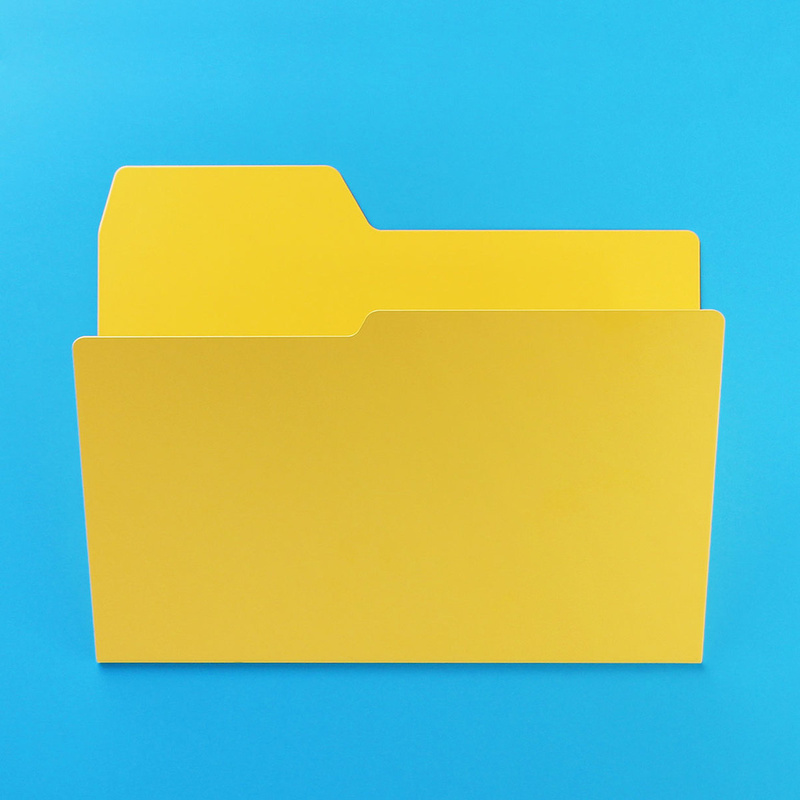 The New Folder is a newspapers saver, the liberation of a desktop metaphor and the real opposite to the first virtual archetype at the same time. 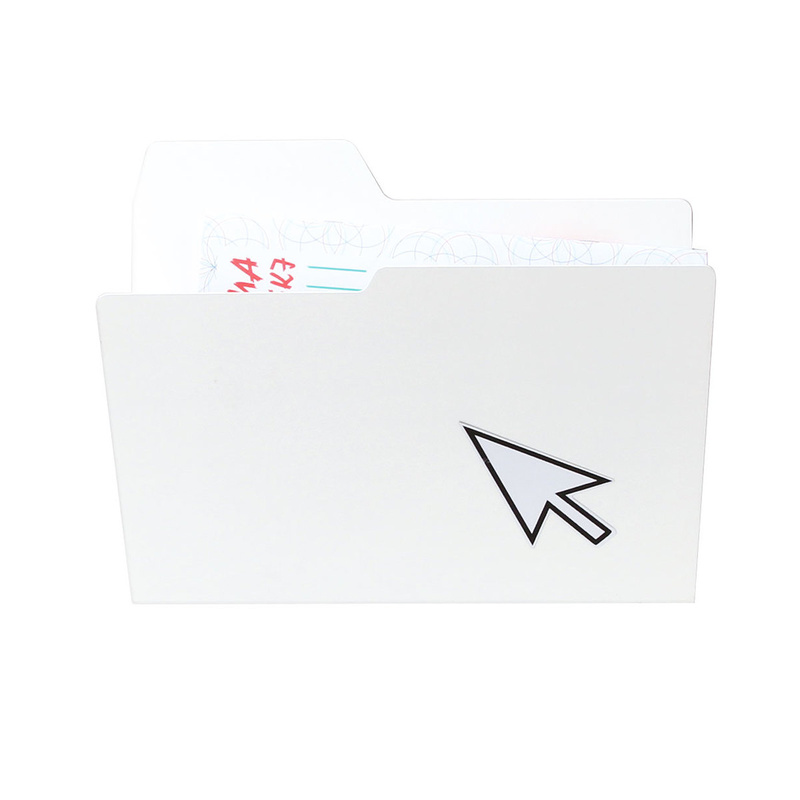 New Folder – or the first digital icon of the world. 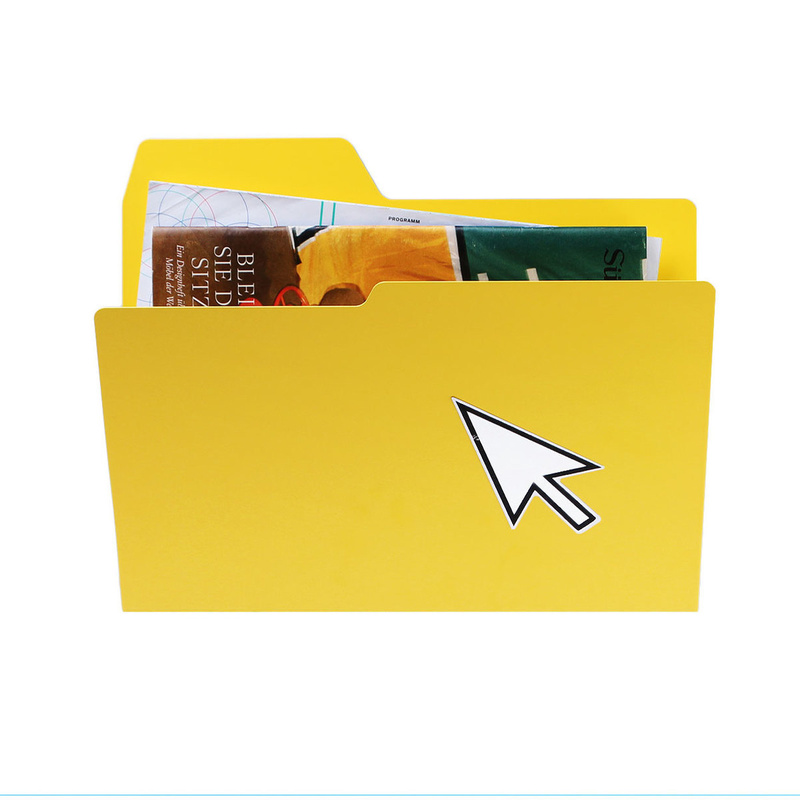 As translation, New Folder brings a piece of virtual world back into reality – and you will transmit the PC-known tidiness to your everyday in the office. 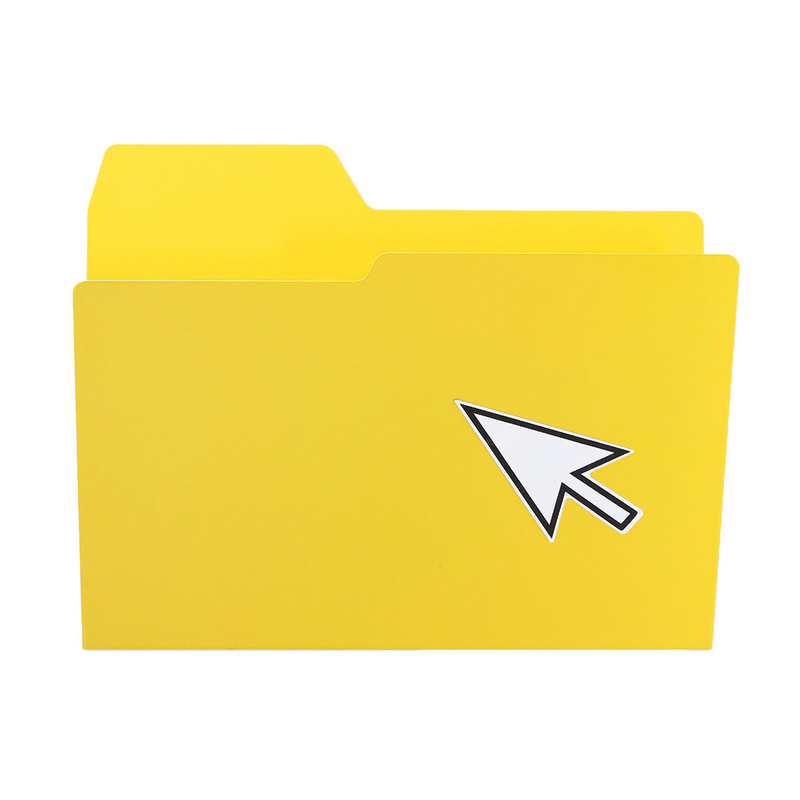 The metal folded deposits in the design of a “Windows Folder” are simply fixed at the wall. 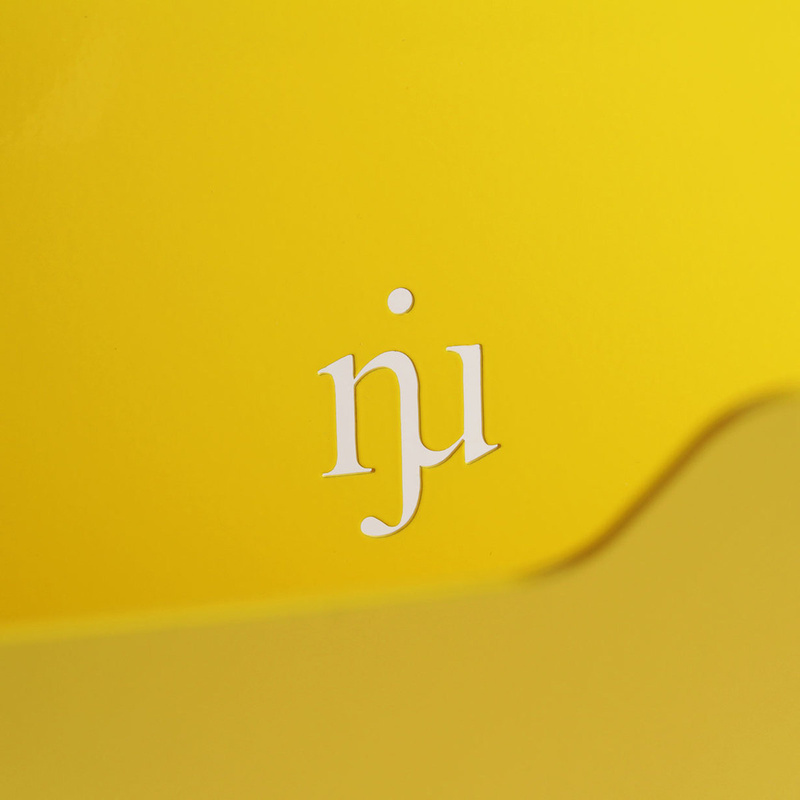 The included mouse pointer sticker makes the ironic-practical impress of the njustudio New Folder perfect. 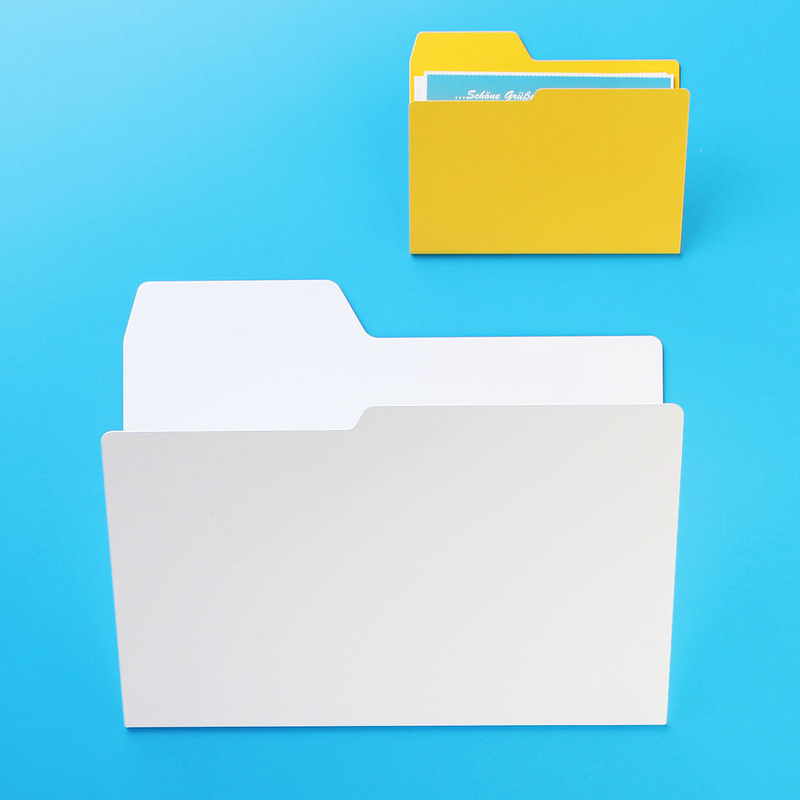 This is how New Folder organises private as well as work things in a familiar desktop-manner. 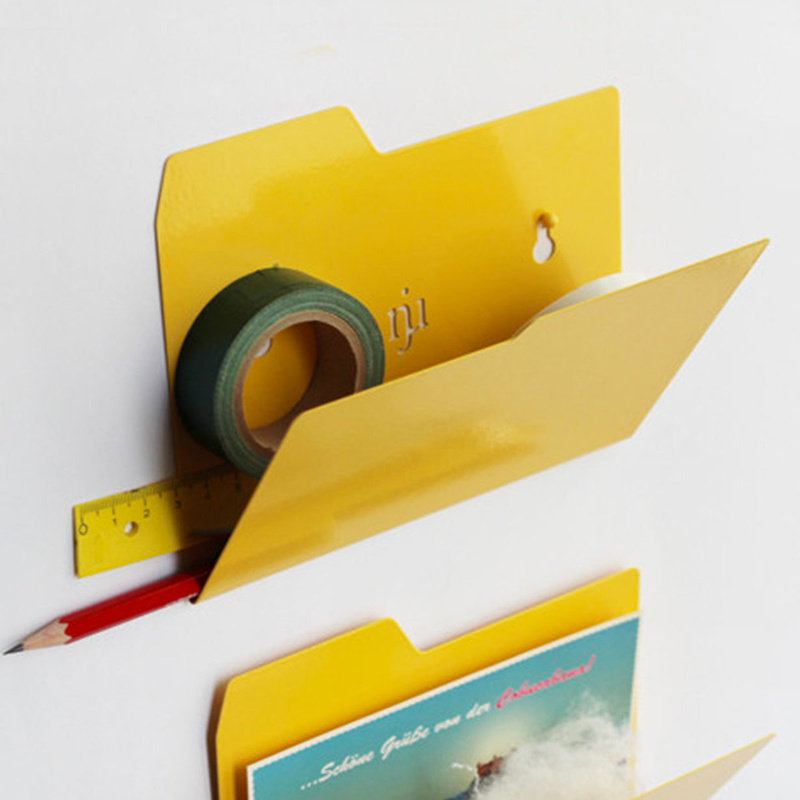 New Folder is fixed with dowels and screws at the wall. Both included in the delivery package. 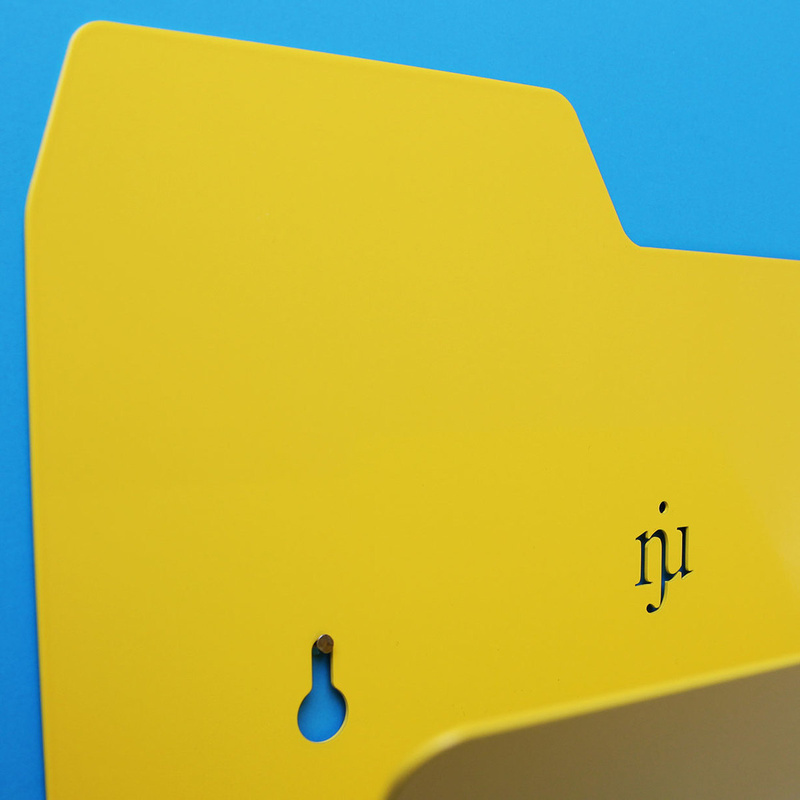 Njustudio is a collective of five designers based in Coburg, Bavaria. 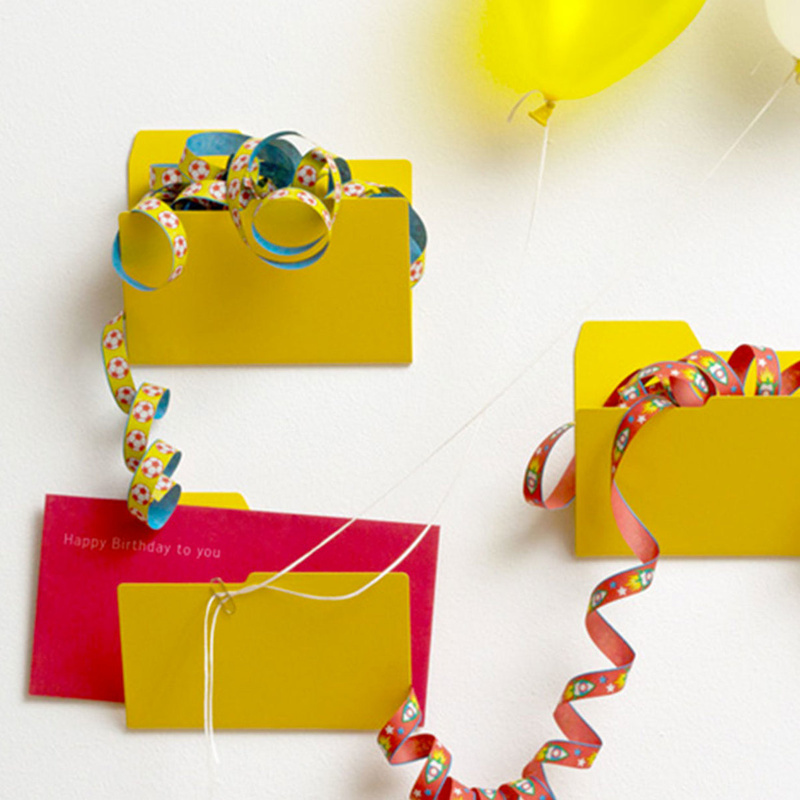 By working together, designers work in more than one category of design – they superimpose their different skills as well as the different areas of design. 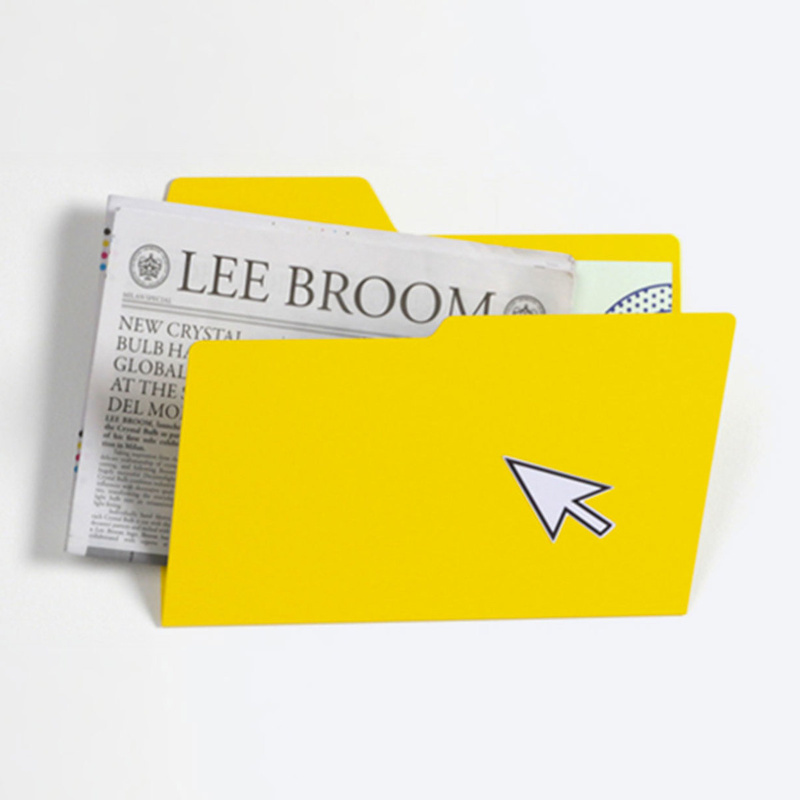 Products boast a conceptual rigour together with a charming, bohemian soul.